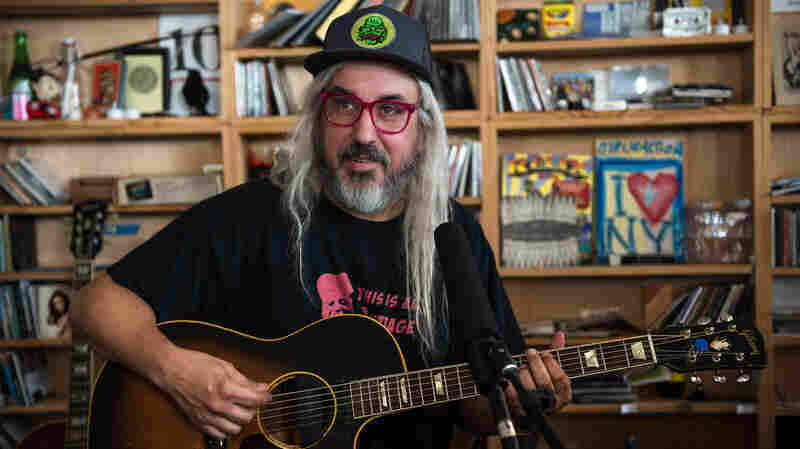 November 22, 2014  The Dinosaur Jr. frontman, one of the world's loudest musicians, performs unplugged and acoustic in the NPR Music offices. 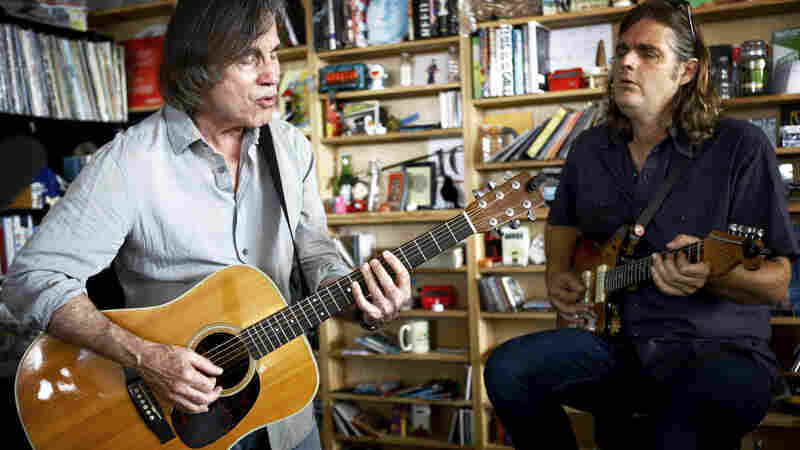 November 15, 2014  The veteran Austin singer-songwriter, whose voice sounds familiar yet new, joins his stunning voice with that of touring partner (and Tiny Desk veteran) Gaby Moreno. 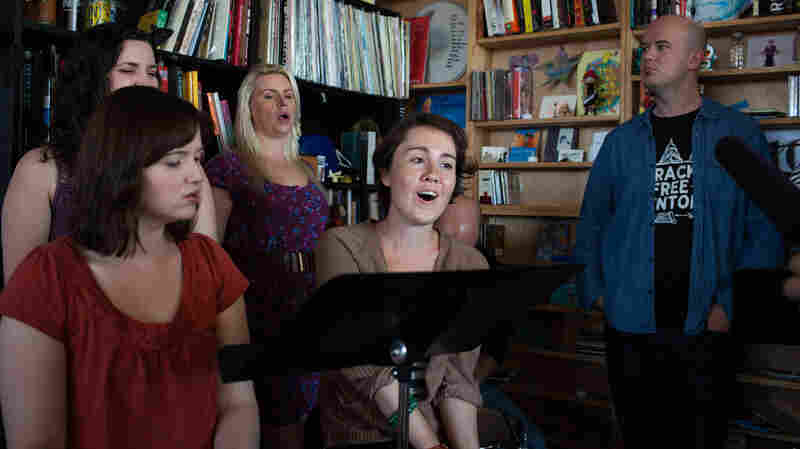 November 10, 2014  Watch the vocal group sing new music with yelps, yodels and fine harmonies tightly spun. November 8, 2014  Reflecting its ancestral roots in Panama, this rousing band from Kansas City mixes languages, styles and eras with infectious energy. 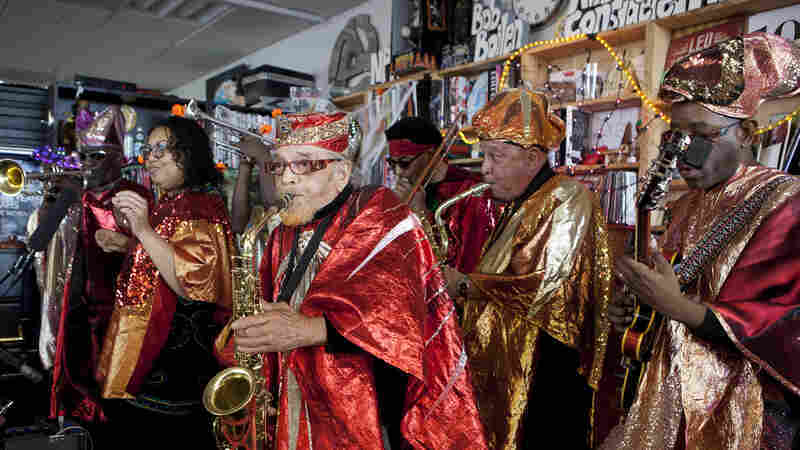 October 31, 2014  With costumes inspired by Egyptian symbolism and science fiction, the late jazz innovator's band plays an out-of-this-world set in the NPR Music offices on Halloween. 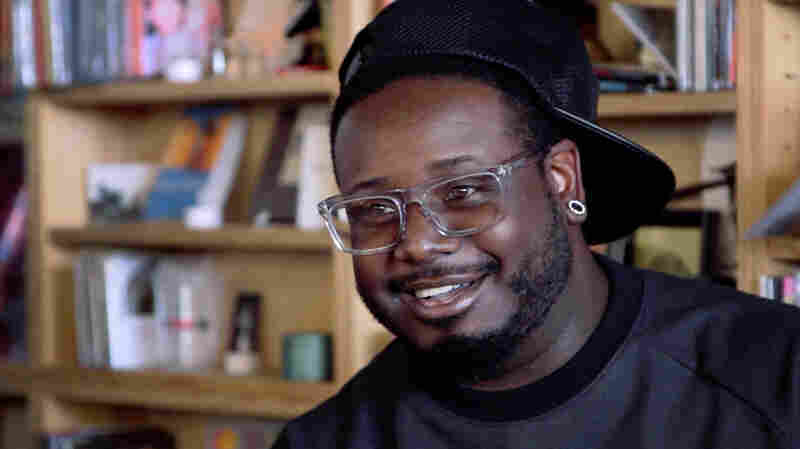 October 29, 2014  We asked the King of Auto-Tune if he'd grace the Tiny Desk without any embellishment or effects to show what's really made his career: his voice, and those songs. October 25, 2014  The Danish String Quartet doesn't live on Brahms and Beethoven alone. 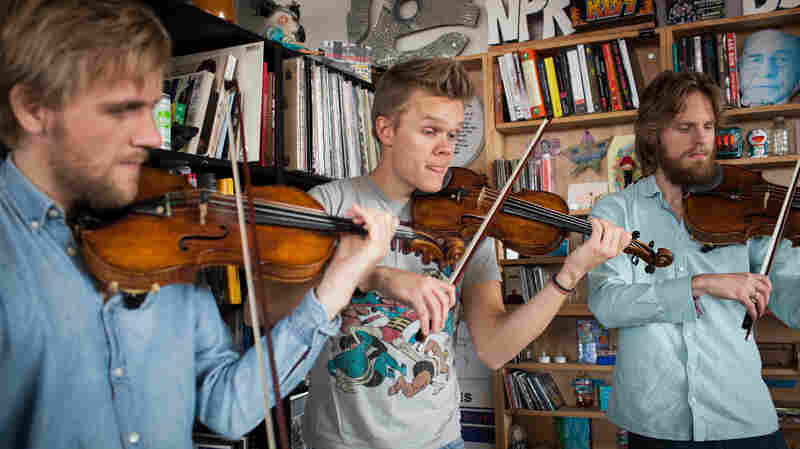 Watch the versatile group play Danish folk tunes, from centuries-old Fanø wedding dances to traditional Roskilde reels. October 20, 2014  D'Amato's new album The Shipwreck From The Shore can feel Motown-y, garage-y and Springsteen-y, and all that production serves his songs well. 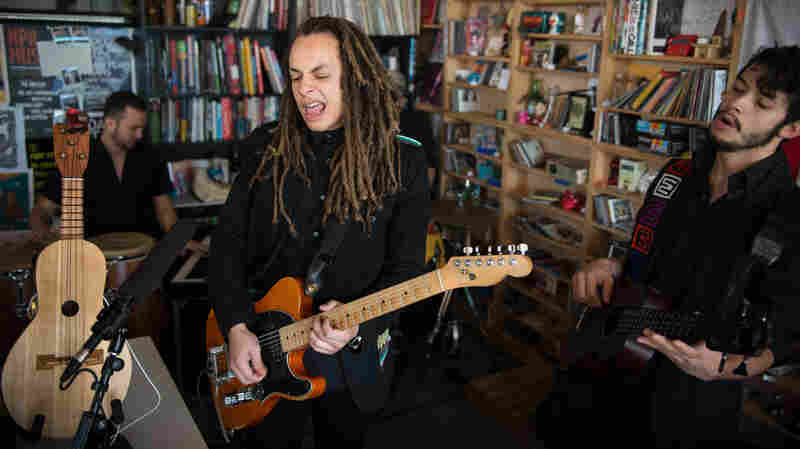 But here the Tiny Desk, his music is sparer. 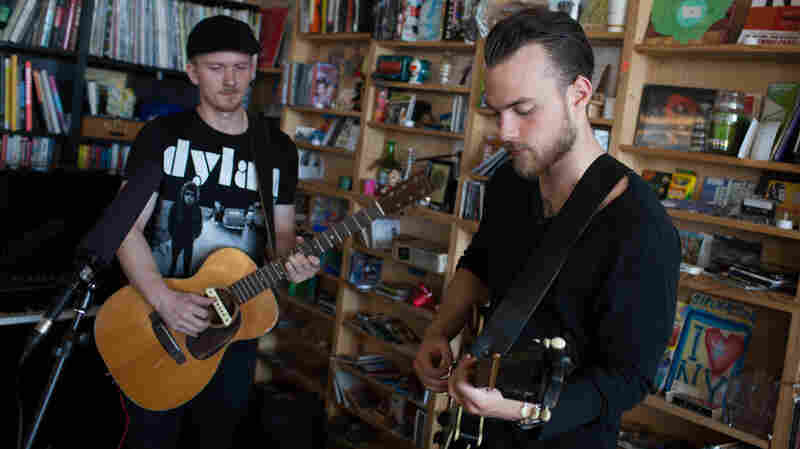 October 18, 2014  The Icelandic singer's voice is angelic and yearning, his songs simple and universal. 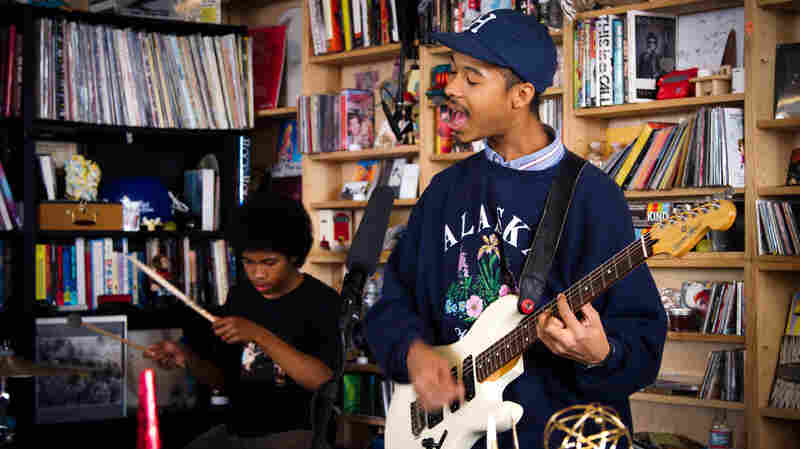 At the Tiny Desk, his raw, slowed-down arrangements bring a sense of grace to what were already elegant songs. October 14, 2014  A Jimi Hendrix influence informs The Bots' bluesy moments, both in the guitar and in Mikaiah Lei's voice. 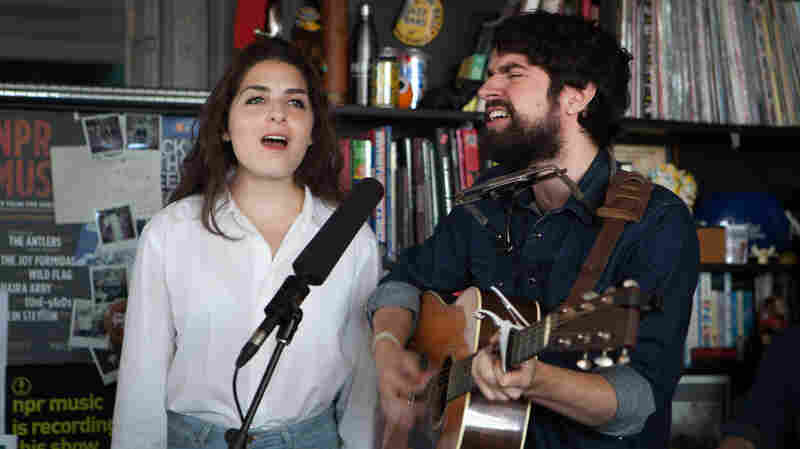 There's also a great rock-duo punch that recalls The White Stripes or JEFF The Brotherhood. October 11, 2014  The singer has spent most of her career 20 feet from stardom as a backup singer for Juanes and Shakira. Now, she headlines a concert of her own behind Bob Boilen's desk. October 6, 2014  More than 40 years after his first album, Browne still writes music with conviction, craftsmanship and careful attention to detail. 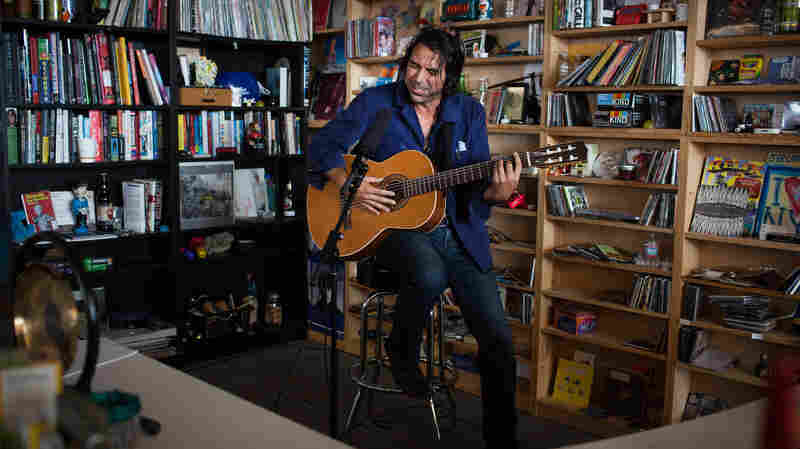 Watch him perform three songs live in the NPR Music offices. 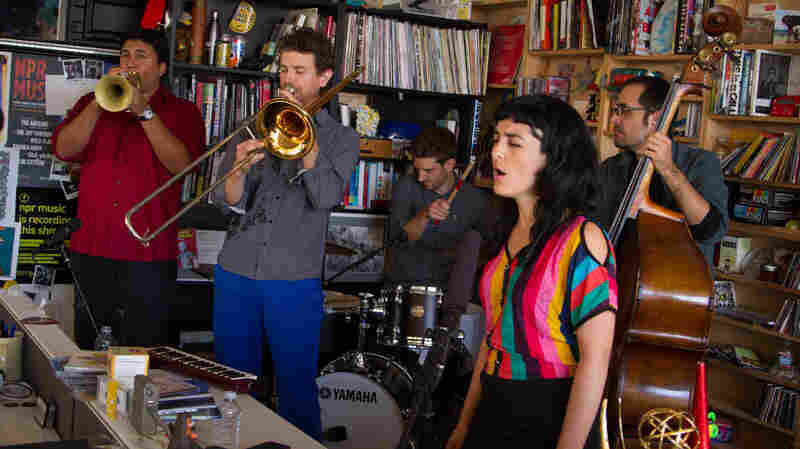 October 4, 2014  When he gets a chance to be the frontman, the Brooklyn trombonist runs a nifty jazz quartet. 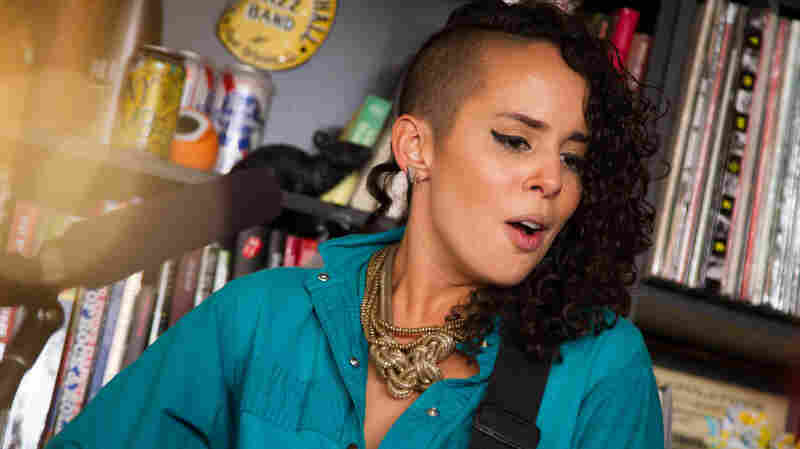 Assisted by vocalist Camila Meza (and by employer Sufjan Stevens, in absentia), Catharsis visits NPR.